YOUR TICKET NOW INCLUDES BOTH NPC & IFBB PRO SHOWS! General Seating: There is no General Seating ticket anymore. General seating is now included in the standard EXPO TICKET ($25). Expo Tickets are only sold at door. LATE ENTRY FEE: If you register at the competitor meeting, it is still $100 per division, but a $50 late fee will be APPLIED to your entry form. We accept cash and credit cards for your entry only. NPC CARD: Can be purchased at the competitor meeting. $125 CASH ONLY. Your music CD or Flash Drive will be collected on Friday evening at the Competitor Check-in/Meeting. Make sure your music is on a “clean” CD or Flash Drive with no other music on it. Please write your cell phone # on the CD or Flash Drive so that we can quickly contact you if there is a problem with your music. You have worked so hard and deserve a treat from us! Don’t forget our famous Competitor Bread Pudding Buffet, which is located by the Competitor Entrance at the right hand side of the stage. All competitors will be able to treat themselves after they step off the stage at the Finals show! You can also fill out this form below, and someone will be in touch with you shortly! WEEKEND VIP PASS! Ticket Includes: Closest Seat to the Bodybuilding Stage for both NPC & IFBB Shows (VIP seat to Saturday Prejudging & Sunday Finals), VIP BADGE + Expo Admission for both days. You receive the next best available VIP seat upon ticket purchase. VIP tickets are the standard price regardless of age. TABLE FOR THE ENTIRE WEEKEND! 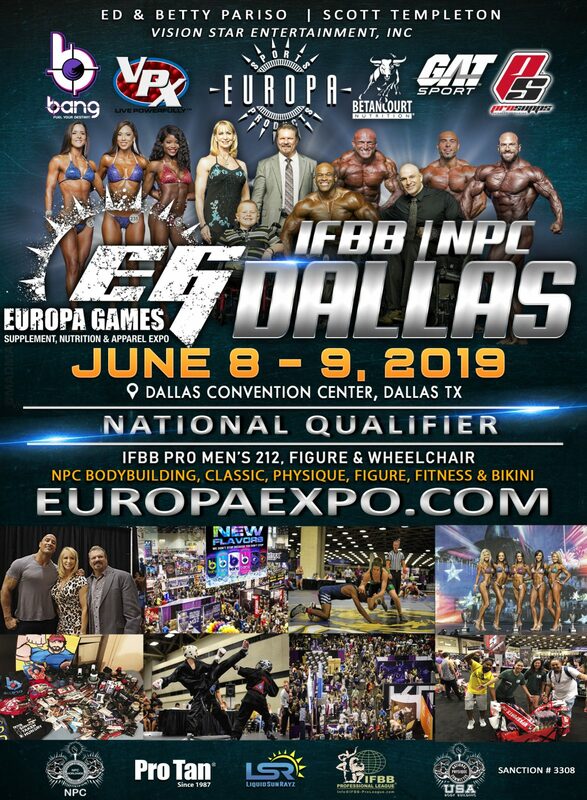 Ticket Includes: VIP Table (with seating for up to 6 people) for Saturday NPC & IFBB Prejudging & Sunday NPC & IFBB Finals, (6) VIP Badges + (6) Expo Admission wristbands for both days. You receive the next best available VIP Table upon ticket purchase. VIP Table tickets are the standard price regardless of age. INCLUDES A RESERVED SEAT TO BOTH NPC & IFBB SHOWS ON SATURDAY. Ticket Includes: Reserved seat to Saturday Prejudging + Expo Admission. You receive the next best available Reserved seat upon ticket purchase. Reserved tickets are the standard price regardless of age. INCLUDES A RESERVED SEAT TO BOTH NPC & IFBB SHOWS ON SUNDAY. Ticket Includes: Reserved seat to Sunday Finals + Expo Admission. You receive the next best available Reserved seat upon ticket purchase. Reserved tickets are the standard price regardless of age.